Industry leading resolutions of 1600x1200 are achievable at 200m/650ft and 1280x1024 at 300m/1000ft. 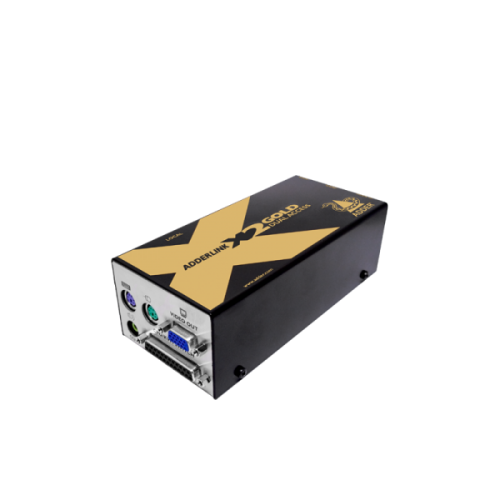 The ADDERLink X2-Gold applies a high level of signal compensation that allows for a greatly increased range of very smooth and fine adjustments. 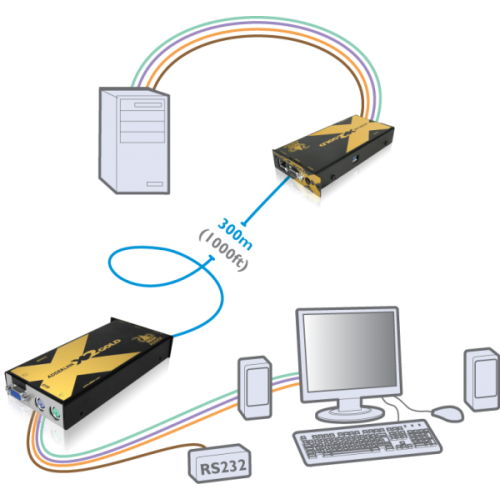 Unless an extender actively supports DDC some well-known high performance video cards cannot be used at high resolutions. 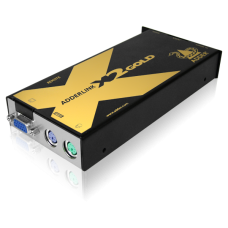 The ADDERLink X2-Gold fully supports DDC. The ADDERLink X2-Gold offers its own brightness correction to ensure that the image is crisp, clear and bright, regardless of the distance. Digital audio transmission delivers high fidelity; click less stereo audio for speakers and microphones. 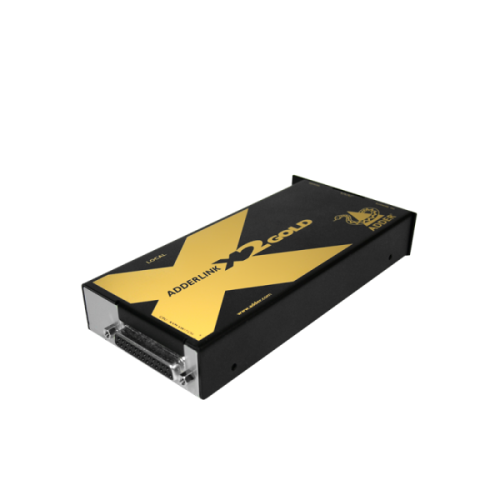 The ADDERLink X2-Gold has integrated skew correction with a 300MHz bandwidth, meaning that it is more than powerful enough to counteract the negative effects of the skew. Supports PS/2 style keyboard, PS/2 style mouse, flat-screen and CRT style monitors with standard HD-15 video connectors. Transparent RS232 connection.